From supporting cardiovascular health, to promoting ideal body composition, to optimizing inflammatory pathways, Omega-3’s substantive impact on a wide variety of health issues has been well-documented. Here, we take a closer look at this versatile nutrient and its many applications. Many research articles support the benefits of Omega-3 fatty acids—primarily for their ability to act as the body’s natural protection. For those patients recovering from a heart attack, for example, Omega-3 fatty acids aid in the healing process by helping with cardiac remodeling and enabling the heart to contract better. Omega-3 fatty acids also manage fibrosis in the region and impact the reduction of biomarkers for inflammation. Further, according to the Journal of the American Medicine Association, Omega-3 fatty acids also reduce the risk for cardiovascular disease, as well. Omega-3 fatty acids are also known to promote healthy body composition—improving lean mass and decreasing fat mass in healthy adults. In studies, fish oil concentrates not only caused weight reduction in mice, but also appeared to stop the animals from gaining weight when given free access to food. Additionally, Omega-3 concentrates reduced the number of fat cells, especially in the abdominal region. Research shows that concentrated fish oil increased the oxidation of fat by activating genes that break down fat in the mitochondria and peroxisomes. These breakthroughs have allowed for the development of new therapies for obesity and other metabolism diseases. Those suffering from chronic pain have also sought relief in fish oil supplements. Studies suggest that daily consumption of Omega-3s may help support healthy inflammatory pathways, thereby alleviating symptoms associated with inflammation. Another study showed that fish oil also reduced the need for Non-Steroidal Anti-Inflammatory Drugs (NSAIDs) in 59 percent of patients with neck and low-back pain. In addition to the aforementioned benefits, further known advantages of taking fish oil include: Decreasing the risk of depression and anxiety; improving eye health; promoting brain health during pregnancy; supporting focus and memory; stabilizing healthy blood sugar levels; supporting a healthy immune response; improving bone and joint health; improving sleep; and supporting skin health. There are three types of Omega-3 fatty acids: Alpha-Linolenic Acid (ALA), Eicosapentaenoic Acid (EPA), and Docosahexaenoic Acid (DHA). ALA is an 18-carbon long chain polyunsaturated fatty acid (SCPUFA), sourced primarily from plants. ALA provides a source of energy when metabolized, and since the body can’t make ALA, it’s considered an essential nutrient. In humans, ALA undergoes an elongation step into the second form of omega-3, EPA. However, it is a poor source of EPA due to a low conversion efficiency of only about five to 10 percent. EPA, meanwhile, is a 20-carbon long chain (LCPUFA) known for its biologic activity in humans. Supporting a variety of functions including brain health and heart health, EPA can also elongate into the third form of Omega-3, known as DHA. DHA is a 22-carbon long chain polyunsaturated fatty acid known as a physiologically-essential LCPUFA. While possible, conversion efficiency of ALA through to DHA is extremely low, typically occurring with an efficiency of just 0.2 to two percent. Therefore, the best way to incorporate these essential nutrients into your diet is to eat fish rich in Omega-3s. However, not all fatty fish are created equally. SMASH fish—that is, Salmon, Mackerel, Anchovies, Sardines and Herring—are not only packed with Omega-3s, they’re also safer to eat thanks to low amounts of mercury. Comparatively, high-mercury fish, such as tuna, swordfish, orange roughy and shark, are typically larger in size and tend to live longer—two factors that increase their exposure to mercury. While good sources of Omega-3s, these fish should be eaten in low moderation (or not at all) due to their mercury levels. Throughout history, humans consumed diets heavy in fish. Today, fish consumption is low. Thanks to Western diets, these physiologically-essential nutrients have become a nutritional deficit for many. Thus, a dietary solution was needed. 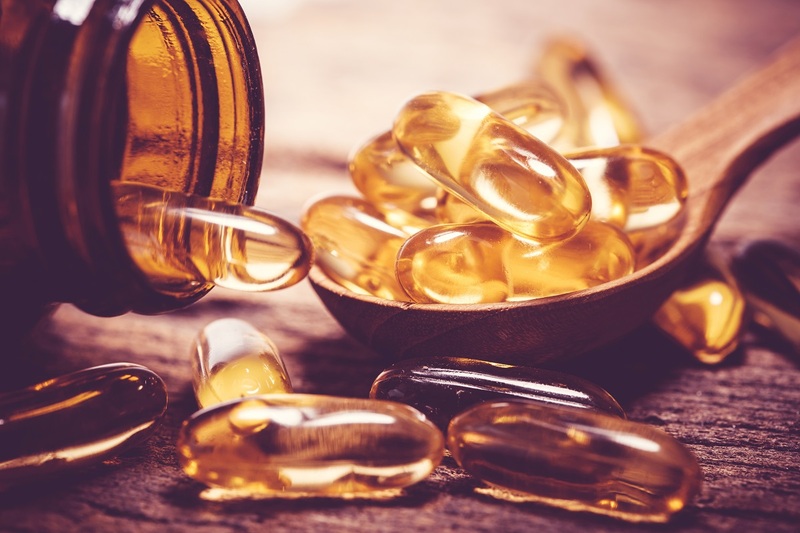 In part two of this series, I’ll explore how fish oil supplements have contributed to meeting our modern Omega-3 needs—and what consumers need to know about distinguishing quality in a vast fish oil market.